Pasfield Curran > Who are we? Flexible working consultants Pasfield Curran were instrumental in bringing the concept of annualised hours and spearheading it’s introduction into the UK in the mid 1980s. From our initial expertise in annual hours we have subsequently developed into a recognised centre of excellence for all aspects of operational flexibility & productivity. In a global demand-led economy flexibility and better productivity are key issues that organisations of all kinds have to address. Managers now have to analyse their businesses from every angle to identify where they can become leaner, more productive, deliver better customer service and ultimately remain profitable. We have our head office in Tamworth with our parent company Crown Computing and have consultants who are able to work all over the United Kingdom and Ireland. Whilst often working independently, with Crown we are able to provide a complete consultancy and technology solution to ensure effective flexible working practices are identified and managed within a structured time recording framework. Crown’s services complement the Pasfield Curran strength of understanding flexible working processes, work / life balance and its ability to optimise working time structures which increase workforce productivity. Crown’s experience in Time & Attendance, Scheduling & Rostering and the broader aspects of Workforce Management is exceptional and this is reflected in our client base, which includes major organisations such as BAE Systems, Ford of Britain, Royal Mail, Carillion, Aston Martin, Interserve, Unilever, Greater Manchester Police, ITN and many Local Authorities. When required we utilise the experience of a number of other consultancies to further complement our expertise. 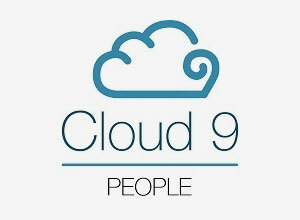 Cloud9 People have over 80 years of combined experience in delivering great people, technology and analytics solutions to a range of businesses ranging from FTSE 100 to SME across a wide range of sectors including: Retail, professional services, manufacturing, logistics, fashion, hospitality, leisure and tourism, education and more. 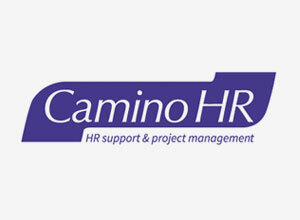 Camino HR offers a practical and professional approach to providing additional HR support when it is most needed, whether it is taking the lead on an HR project or providing ad hoc support to the smaller business.